Whilst cruise lines over the recent decades have grown in a variety of ways, Iglu too has undergone many changes. Starting out in 1998, Iglu was founded by Richard Downs, and began life as an online ski holiday agency which prospered during the new era of internet sales. 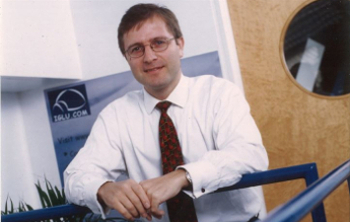 After reaching its first £1 million profit target in 2005, Richard then saw the potential for a new market in cruise, and so the next year, in 2006, the business expanded into selling cruises as well. Starting off with just a handful of members of staff, it didn’t take long for the cruise side of the business to thrive, thanks to expert knowledge and great customer care. In fact, in 2011 Iglu.com was accredited with a fantastic achievement from the Cruise International Awards: Cruise Travel Agency of the Year. Next, in 2012, Iglu reached an astounding £90 million annual turnover. Going from strength to strength, Iglu then aquired competitor business Planet Cruise in 2013, therefore making them the largest cruise agency in the UK. Then, in April 2015 the first Iglu Cruise Show was held, which offered a brilliant opportunity for new and seasoned cruisers to ask questions and find out more about all things cruise. Also in 2015, Iglu was recognised as a brilliant place to work, winning the Work Advisor Travel Employer of the Year Award. In fact, in just ten years, employees at Iglu.com grew to more than 300 in 2016, and today, in 2018, there are almost 450 of us! Looking forward to many more years to come, we hope to send many more cruisers on the holiday of their dreams. Here’s to the exciting future of cruise. . . .